Many truckers know the dangers of a life behind the wheel extend beyond the risk of crash and not getting enough sleep. Poor diet and a lack of exercise can lead to a number of rather serious health risks and truckers typically deal with a greater likelihood of these issues than the general population because of the nature of their jobs. One recent example, highlighted by Fleet Owner, shows just how dramatic the issue can be. Researchers at Cal State Fullerton recently looked into the health histories of two identical twin brothers, one of whom is an "endurance athlete" and the other a pro trucker, Fleet Owner noted. Perhaps not surprisingly, the researchers found the 52-year-old brothers had significant physiological differences; the athlete had better cholesterol, lung volume, triglyceride levels, blood pressure and blood sugar, but the trucker had stronger legs and grip muscles. But the real difference between the two brothers was observed in how much oxygen they consumed, which can be an indicator of heart health, the report said. The athlete brother's VO2 max level - how much oxygen he can take in and use during exercise - was nearly 24 percent greater than the driver's. "We cannot solely blame our genetics for poor blood sugar levels, cholesterol, fat mass, cardiovascular fitness, and other measures of health," Katie Bathgate, a lecturer at Cal State Fullerton, told Fleet Owner. "Lifestyle plays a fairly large role." When truckers are getting the right diet and exercise, they are also more likely to stay on the road for longer periods of time without taking extended sabbaticals or having to leave the business entirely, according to Tank Transport. For that reason, freight companies have a vested interest in encouraging their drivers to stay healthy by eating right and trying to get exercise on a regular basis, especially at a time when driver retention is such a big issue for the industry and competition for well-qualified, experienced drivers is increasingly cutthroat. With that in mind, it might be wise for trucking companies to ensure they are putting programs in place that help encourage drivers to be more proactive about this issue, such as with wellness programs that encourage participation, the report said. This can also give firms the ability to collect data and track trends for potentially large percentages of their drivers. Fortunately, because there is now greater recognition about boosting health for pro drivers in general, more is being done to design exercise programs and diet tips to the trucker lifestyle, according to ABC News. While it's not always easy, any efforts to make healthy living simpler for drivers can go a long way. 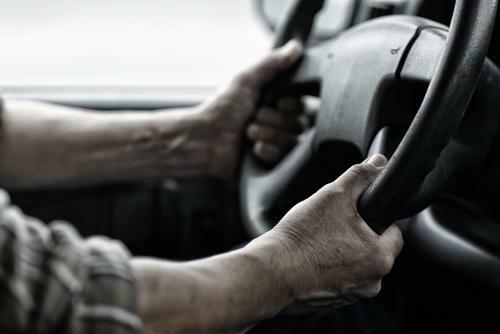 With this in mind, freight companies might want to encourage driver health with financial incentives and other perks that can help boost engagement, encourage good health and reduce turnover on an ongoing basis. Pairing that with higher pay and better benefits will typically lead to a lot more retention as time goes on.